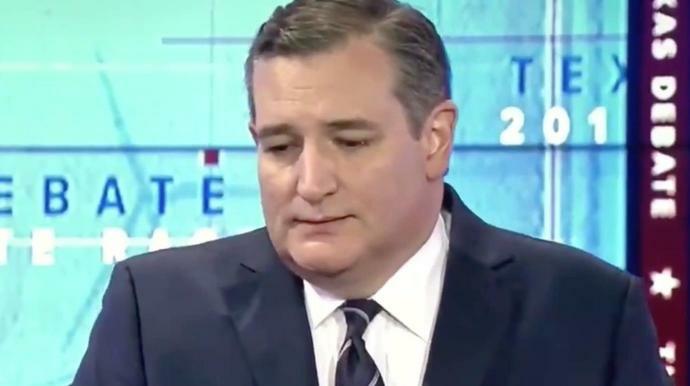 But for Sen. Ted Cruz (R-Texas), one of those questions led to a long and awkward pause during his Tuesday night debate against Democratic challenger Rep. Beto O'Rourke. The question: "Tell us something you've done in the last year that has nothing to do with politics that would give Texans insight to who you are as a person." Cruz eventually talked about the difficulties of being a father while also serving in the U.S. Senate. He spoke of missing his daughters' events and having to catch up with them via FaceTime. O'Rourke agreed and spoke of missing time with his family as well as playing drums on a kit "ostensibly purchased for (son) Henry but was really purchased for me."